Located at the gateway to the Grand Canyon, a new drive-through wildlife park offers up-close-and-personal wildlife encounters for animal lovers of all ages. The brainchild of Sean Casey, Bearizona (928-635-2289, www.bearizona.com) features a robust collection of North American wildlife on a 160-acre parcel in Williams, Arizona. Opened in 2010, this drive-through wildlife park is home to a large number of rescued and rehabilitated animals. Many of the other animals are on loan for the purpose of propagating the species, and still others were born in the park. Visitors can drive their own vehicles through the three-mile wildlife drive, and spot Rocky Mountain goats, American bison, Alaskan tundra wolves, Dall sheep and black bears along the way. A complimentary GPS unit, with information about the animals in the park, is given to each vehicle at the entrance, so it’s almost like having your own private tour guide on board. Best of all, you can drive through the compound as many times as you want during the day, which allows for a wide range of animal sightings. And since you’re in your own vehicle, it’s nicely accessible. 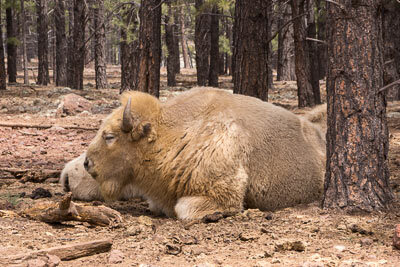 At the end of the wildlife drive, you’ll find Fort Bearizona, which is home to a collection of small or juvenile animals. There’s accessible parking near the entrance, with wide level paved pathways past all of the animal enclosures in the 20-acre walk-through area. 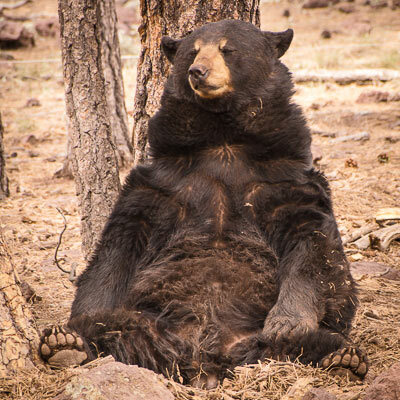 You’ll see everything from javelinas and lynxes to porcupines, beavers, swift foxes and of course, lots of juvenile black bears. Loaner wheelchairs are available near the entrance, and if you can’t manage a wheelchair, a golf cart shuttle around the animal enclosures is also available. There is also barrier-free access to the snack bar, gift shops and restrooms at Fort Bearizona. 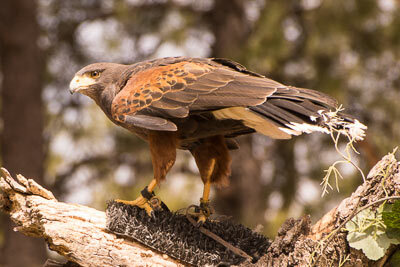 Make sure and time your visit so you can take in the raptor show, which is presented several times a day. This free-flight show features high country raptors including a Harris hawk, a barn owl, a Eurasian eagle and more. Wheelchair seating is available in a cement area with nearby companion seats. It’s a very well done show, but don’t be late, as the gates close once the show begins. 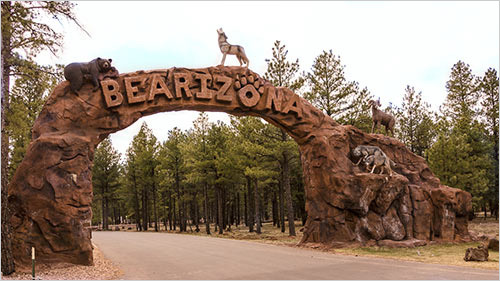 The best plan of action is to visit the Bearizona wildlife drive in the morning, as the animals are more active then. 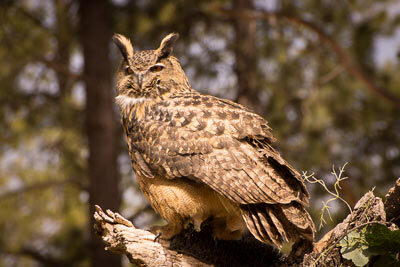 Save the afternoon to explore Fort Bearizona, have a bite to eat and take in the raptor show. Top off your visit with another drive through the park before you depart. And don’t forget, Bearizona is a work in progress, so come back often to check out the new programs and facilities. You’ll never see the same thing twice at Bearizona, and that’s a very good thing.